You’ve just cast off from the dock at Scrub Island, a marina lounging half a nautical mile from Tortola’s coast in the British Virgin Islands. You head out into kaleidoscope waters: royal blue, neon lime, and turquoise. Dead ahead a herd of sailboats rocks gently at anchor, like babies in their cradles. You clear Marina Cay, turning into wind-rippled seas glittering in the morning sun. Islands across Drake Passage rise up, humpbacked and voluptuous, beckoning you to their beaches, their emerald hills. There is Cooper Island and Norman and Peter. You give the command to raise the mainsail; you gaze toward Virgin Gorda, with its towering peaks and surreal formations of granite boulders. The boat surges forward and you laugh in delight. You’re skippering a 40-foot sailing catamaran named “Parmenide” a trusty steed you’ve booked through Dream Yacht Charters, one of the world’s biggest charter companies. For the next seven days you’ll be exploring this ransom of islands and cays under sail. But you don’t have to know how to sail for this journey through paradise, aka the British Virgin Islands, aka the Capital of Sailing. You don’t even have to know what a beam reach is. If you don’t know how to sail but want to rent the boat, you can always sign on a skipper. “You can learn to sail and work the boat for a week or just relax in the always-perfect weather,” says Rouma. Other options include booking a chef, who will go over the week’s menu with you and treat you like royalty. Sample itineraries are built for maximum pleasure. “Maybe a short sail to a beach, maybe a stop for a snorkel,” Rouma says. But that’s for the huddled masses. You don’t have to adjust your schedule to anyone because you’re the skipper. For the next few days you might sail for an hour or two. Later in the week you do one of the big passages — five, maybe six hours. 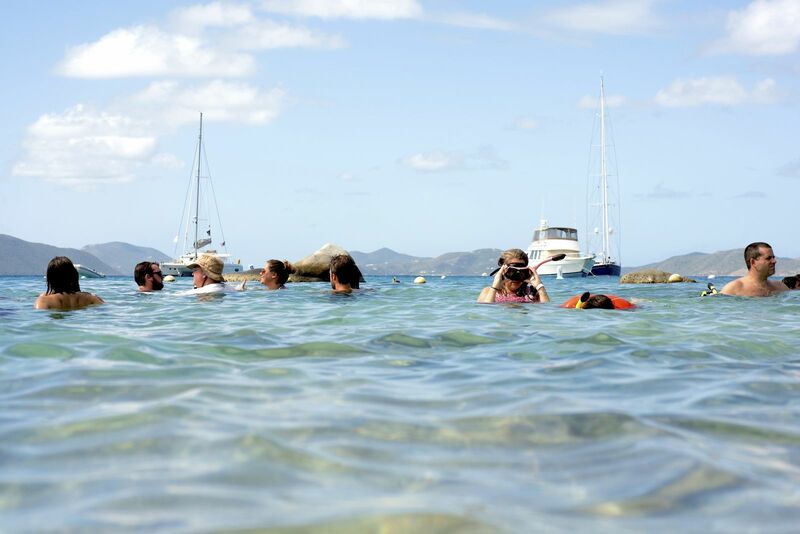 The Indians off Norman Island are both a hugely popular snorkel spot and a protected area, so when you can’t get a mooring ball you do the biggest one of the week, crossing west of Tortola and making for Jost Van Dyke. Not to worry though. On the way there’s room at the Indians and you also hit the water with masks and fins, joined by a school of friendly lemon-colored fish. But first you discover paradise on the island simply nicknamed Jost. Sunday afternoon at White Bay, doing dastardly and irresistible drinks on a perfect beach at Soggy Dollar, so-called because early sailors swam ashore and paid with moist currency. 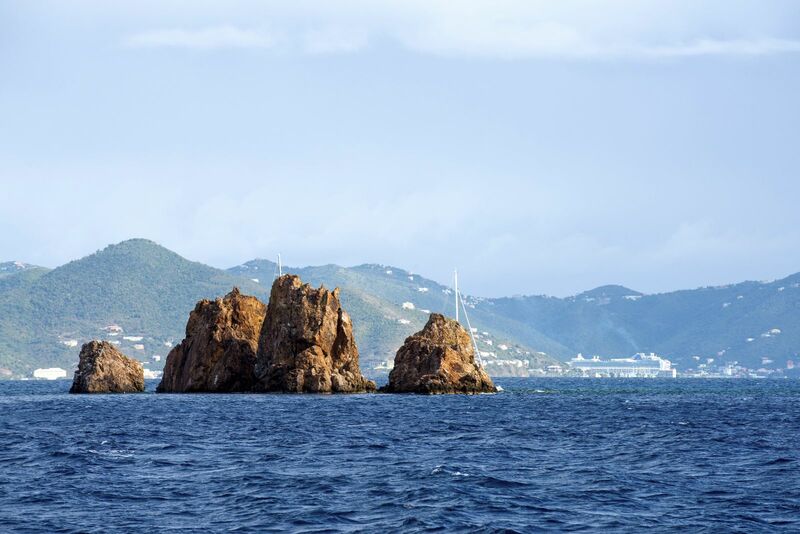 Now you discover two of the chief appeals of British Virgin Islands. First, a sailing excursion is an exciting explosion of experiences: from a quirky bar to a great snorkel spot. And beautiful. Don’t forget beautiful. Early on the your last day you’re attached to a mooring ball in a bay that reputedly inspired Treasure Island. No. 2 son and his girlfriend have a beach to themselves. No. 1 son and his girlfriend lounge on bow cushions. At long last it’s time to go. You cast off the boat. Then you raise the sails and adjust them. You adjust the sails for a beam reach in paradise. Float Plan: Savvy sailors always have a float plan. To help you add to yours, click on www.visitbvi.com. Reserve a Boat: To book your own boat, a boat with skipper, or a cabin on a fully crewed adventure, check out Dream Yacht Charters website.